Estadio Caliente got built in 2007 to serve as the home for then newly-founded Club Tijuana. The stadium officially opened on 11 November 2007. Over the next years, Estadio Caliente got gradually improved and expanded, with the VIP Boxes over the main stand gradually extended over the entire length. 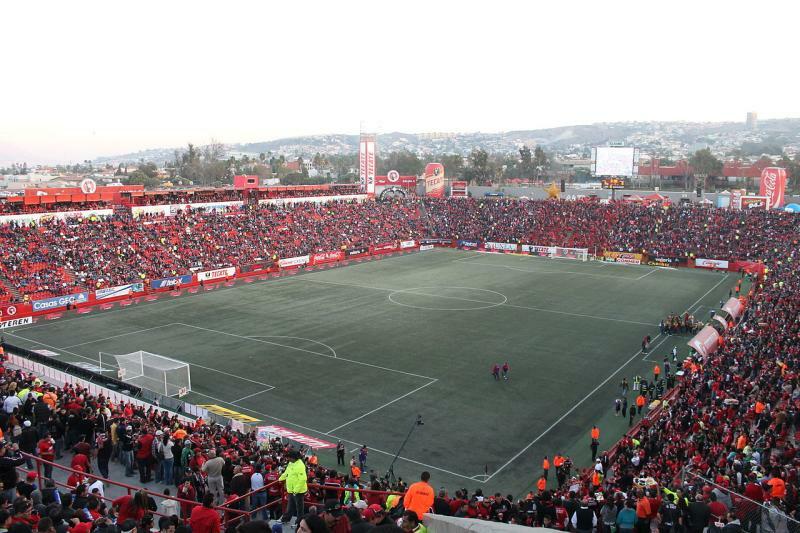 Due to the successes of the club and resulting sell-out crowds, Tijuana are planning to further expand the stadium to a total of 33,333 spectators. 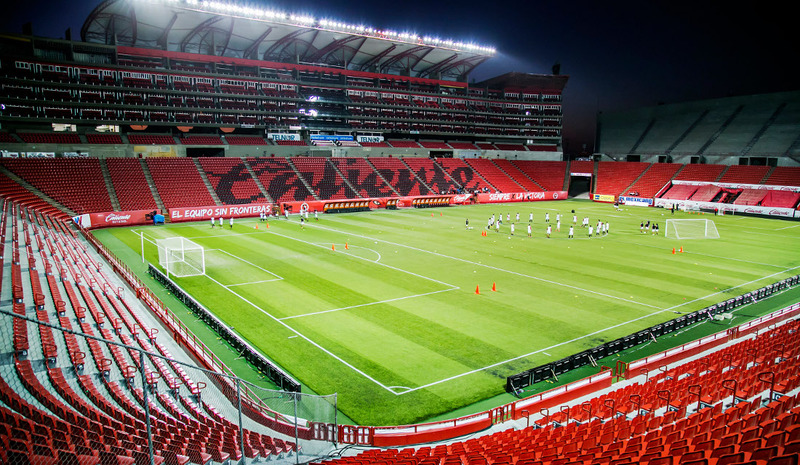 Estadio Caliente is the only stadium in Mexico’s top league that has an artificial pitch. Estadio Caliente is located toward the south-east of the city of Tijuana at about 5 kilometres from the centre area, a little more from the US border, and about 3.5 kilometres from the Zona Rio business district. The stadium is easily reached by following the Paseo de los Héroes avenue from the centre or US border in southern-eastern direction. Estadio Caliente lies toward the end of the avenue. Turn right onto the Blvd de Las Americas. The stadium lies next to shopping centre Galerías Hipódromo. Tickets for Tijuana (Xolos) games can be bought online or at the ticket windows of Estadio Caliente. Tijuana sell out regularly and it is therefore advised to buy tickets in advance. Ticket prices depend on the opponent, but typically start from MX$ 250.00 for an upper tier seat behind the goal to MX$ 740.00 for the central seats at the main stand. Expect to pay at least MX$ 400.00 ranging up to MX$ 1,180.00 for high-profile games like Chivas and America. Xolos.com.mx – Official website of Club Tijuana. Descrubretijuana.com – Tijuana tourist information.